From the Scalea 1 range of indoor lighting products. A 315mm diameter domed quality white glass shade with an ornamental vine and leaf pattern. 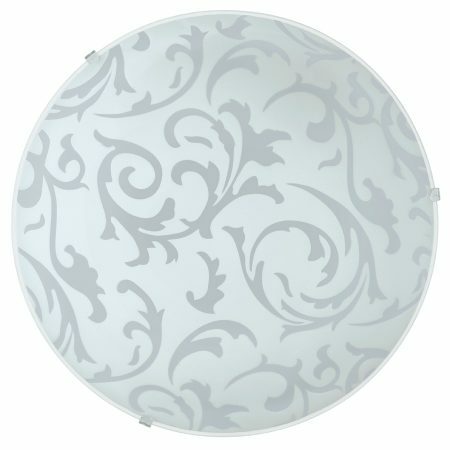 This elegant flush light can be wall or ceiling mounted and is an affordable solution to help light the living room or entrance hall.